The best nonfiction science books and the best history books for kids are those that are relatable. They are told in prose like great stories that just happen to be true. This is one of those books. 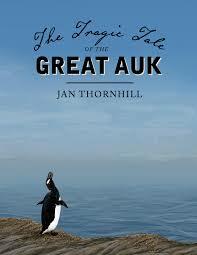 The story of the great Auk is not just one of evolution, but one of the effect of humans on our environment. It is about the world and people over thousands of years. It is about a human-made tragedy as we killed off all the Great Auks a hundred years ago. And it is about how that tragedy spurred humans to start conservation movements, to try to stop the extinction of other species. All of this is really good for kids to learn. But the reason kids will love this book is that it is like a great story, told by an interesting person. It was a joy to read out loud.